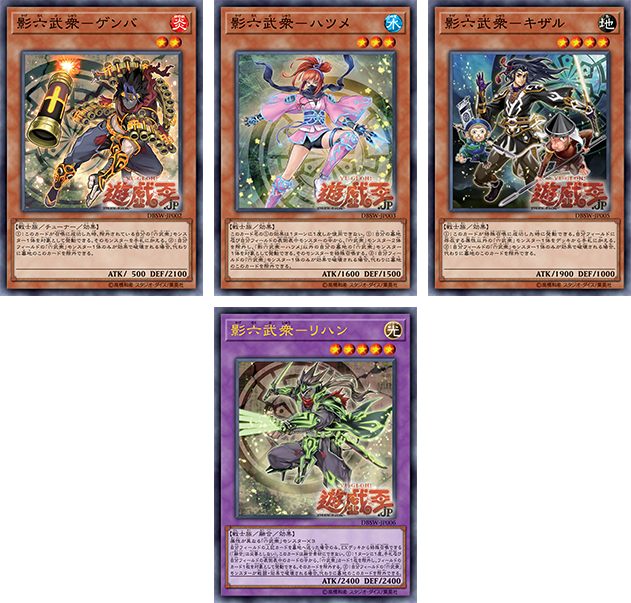 [DBSW] New Shadow Six Samurai support! Time for an old theme that rightfully fits the name of Spirit Warriors to get support! It’s time for the Six Samurai to get some love with the Shadow Six Samurai!! (1) When this card is Normal Summoned: You can target 1 of your banished “Six Samurai” monsters; add it to your hand. (2) If exactly 1 “Six Samurai” monster you control would be destroyed by card effect, you can banish this card from your GY instead. (1) You can banish 2 “Six Samurai” monsters from your GY and/or face-up from your field, then target 1 “Six Samurai” monster in your GY, except “Shadow Six Samurai – Hatsume”; Special Summon it. (1) When this card is Special Summoned: You can add 1 “Six Samurai” monster that does not share an Attribute with any monster you control from your Deck to your hand. Cannot be used as a Fusion Material. (1) Once per turn: You can banish 1 “Six Samurai” card from your GY or that you control face-up, then target 1 card on the field; banish it. (2) If a “Six Samurai” monster(s) you control would be destroyed by battle or card effect, you can banish this card from your GY instead. Omg I can’t wait…these cards are gonna make this deck rock again…just traded for a max rarity deck for a diagram this year…now that I got my six dams back together the new support is coming so super excited. Six dams was the deck i first played…..go na be in the meta game again….fist pump….. Anyone know when we might be seeing his support in the US ! ?